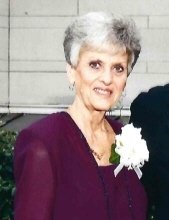 Peggy Senott, 78, of Franklin, passed away unexpectedly at 11:35 p.m. on Saturday, April 13, 2019 at UPMC Northwest in Seneca. Born September 5, 1940 in Franklin, Peggy was the daughter of the late Robert and Etta Zufelt Beightol. Prior to her retirement in 2003, Peggy worked many years at the First National Bank in Franklin as a Customer Service Representative. She cherished spending time with her grandchildren. Peggy is survived by her son, Joseph R. Senott and his wife, Kelly, of Cleves, OH; her two grandchildren, Ava Senott and Rachael Senott, both of Cleves, OH; and her brother, Larry Beightol and his wife, Shirley, of Franklin. Family and friends will be received at the Gardinier Funeral Home, Inc., 1315 Chestnut Street, Franklin, on Thursday, April 18th from 10 a.m. to 12 p.m. Funeral Services will be held at the funeral home at 12 p.m. following visitation, with Rev. David Smith, pastor of the Franklin Church of the Nazarene, officiating. Interment will follow at Brandon Cemetery. To send flowers or a remembrance gift to the family of Peggy Senott, please visit our Tribute Store. "Email Address" would like to share the life celebration of Peggy Senott. Click on the "link" to go to share a favorite memory or leave a condolence message for the family.